1) Do you deliver in my area? We deliver throughout the Boston area including Back Bay, South End, Beacon Hill, Downtown, Waterfront, Charlestown and Cambridge. Please email us at clientservices@lavanderiadrycleaners.comto find out if we serve your location. 2) How do I set up an Account? Please click here to submit your information or call us at (617) 523-9601 and we will collect information to set up your account. 3) How do I schedule a pickup? You may call us at (617) 523-9601 during working hours to speak to a representative or after hours where you may leave a message on our answering machine. You may also click here to schedule a pickup. Requests that come in after 10:00 will be picked up the next day. 4) If I know the origin of a stain, does it help for you to know this? Yes. If you know the origin of your stains, please bring it to our attention by enclosing a note with your garment. 5) Is the deposit for the laundry bag refundable? Yes. We collect a $5.00 deposit for each nylon bag provided to you. The deposit is refundable when you close your account and return the bag to us. 6) When can I expect to have my clothes delivered? 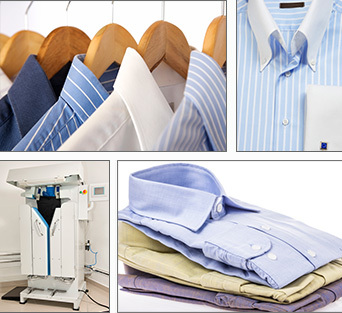 Your dry cleaning and shirts will be delivered within 2-3 days. Wash, Dry & Fold has a 24 hour turn-around time. 7) Do you have next day service? Yes, please email us at clientservices@lavanderiadrycleaners.com for additional information. 8) Can I update my credit card information online? Yes, click here to update your credit card information. 9) Can I print an inventory sheet online? Yes, click here to print an inventory sheet to submit with your clothes. 10) How do I pay for your services? We keep your credit card information on record. Your credit card is charged at the end of each month. Each time you receive an order of clothes from us there will be a pink invoice attached. Save this as your receipt. The total of these pink invoices will be charged as one amount at the end of the month. 11) Do you clean suede, leather and furs? Yes, we clean suede, leather and furs, but must receive a signed release form before cleaning begins. Click here to print a release to send in with your garment. 12) Do you sell gift certificates? Yes. Gift Certificates can be used for all services. They can be purchased by clicking here or by calling us at (617) 523-9601.